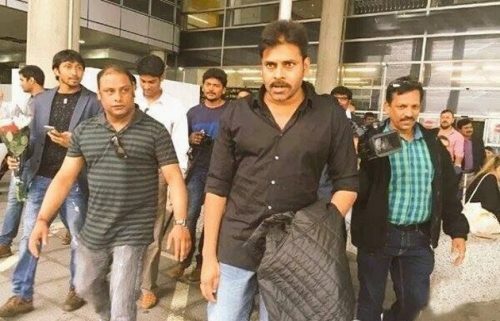 Pawan Kalyan left to London few days back to attend the United Kingdom Telugu Association’s 6th annual day celebrations in London today, and this has become the talking point all over. Mega fans are super excited to see him in London and have given him a warm welcome. Pawan Kalyan next movie after Sardaar Gabbar Singh have been launched recently. The makers are considering Shruti Hassan as female lead to repeat the magic created in Gabbar Singh movie. Regular shooting of this movie will start from this month end. Maker considering “Kadapa King” as the title for the film. Director Dolly directing this movie. Story was provided by Akula Siva. Anup rubens will compose the music and produced by Sharath Marrar under North Star entertainment banner. They are planning to release this movie as Dasara special.